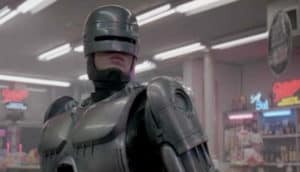 RoboCop Sequel Being Written by Series Creator | Nerd Much? Previous sequels and reboots to be ignored from canon. MGM and Sony produced a remake of RoboCop in 2014. It didn’t go over too well. So it’s exciting to fans of the 1987 original flick that a potential sequel could be on the way. And it’s coming via the series’ original creator, Edward Neurmeier. Now you might be saying to yourself, “Didn’t RoboCop already have sequels?” It did, in fact. Two of them. 1990’s RoboCop 2 and 1993’s RoboCop 3. But much like the 2014 reboot, these were heavily panned. So setting this new tale just after the ’87 original and ignoring the rest of the series seems like the best way to revitalize the iconic franchise. There has been no official announcement coming from MGM’s camp on the project. But Neurmeier’s work on a potential sequel is tantalizing nonetheless. We’ll have to wait and see whether a new RoboCop 2 actually comes to fruition in a few years.